Thank you so much. I would recommend your company to absolutely everyone in need of help. You always asked questions to ensure proper performance. I wanted to pass along how happy I am to have Fatima working with our family. After just 11/2 days, I can see that she is a perfect fit for for child. We are lucky to have her. Morningside Nannies was outstanding. The process was stress free and the caliber of applicants was far superior to that of other agencies. Morningside Nannies was thorough in their review and timely presentation of candidates. I am delighted with the outcome, and enjoyed the process. Compared to other agencies Morningside presented a higher caliber of candidate. Morningside Nannies implements Knowing Nanny personality profiles into their nanny screening process. 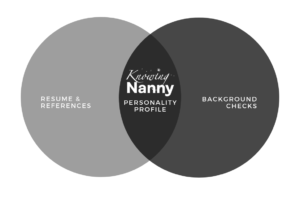 Beginning in 2019, Morningside Nannies will implement Knowing Nanny personality assessments into their nanny application process, adding to their comprehensive nanny screening tools which include background checks, reference checks, employment verifications and childcare health and safety assessments. Morningside Nannies has been granted exclusivity to the Houston market and will be offering this as a unique point of difference. Since 1992, Morningside Nannies has been helping Houston based families find the right solution to their childcare needs. They partner each family with an experienced placement specialist, saving time and energy in their nanny search. Parents are only presented candidates who meet their specific hiring criteria and who are hand-picked and especially qualified for their position. Morningside Nannies represents only the most qualified, experienced and well-referenced Houston based nannies and excels at matching the right nannies with the right families. Utilizing in-depth applications, childcare assessments, in office interviews, background checks, reference checks and now the Knowing Nanny personality assessment, Morningside Nannies makes the best educated and informed decisions when considering which applicants to represent. What’s Up With Guaranteed Hours? As a new mom I was nervous about hiring a nanny, but now I couldn’t be more pleased. I’ve sung your praises to everyone I know. We’ve placed ads in newspapers on two occasions and have gone through an Au Pair program twice. This has been our best experience by far! Indera is just wonderful. She is always happy and clearly loves her job. She is kind and fun and as for the practicalities, she is always on time and very flexible. The first person you recommended met my needs perfectly. Morningside Nannies only sent me nannies that fit my needs. I felt that I wasn’t sent the resume of everyone on file.